Suicide rates have sharply increased by nearly 25% in the last two decades, according to a recent report by the CDC. The report was released within days of the deaths of designer Kate Spade and TV personality Anthony Bourdain and has reignited important conversations on suicide and mental health in the United States. 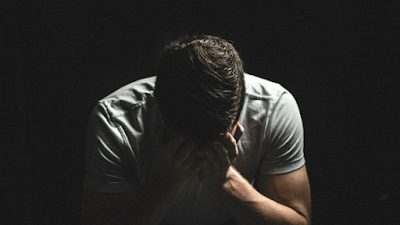 Suicide now claims more lives than automobile accidents each year and, according to a recent article in the New Yorker, some leaders in mental health believe that our deteriorating mental health care system is partially to blame. At Charity Navigator, we believe we have a responsibility to elevate the voices of effective organizations that are advocating for and providing support and education to individuals and families that are experiencing mental illness. The following organizations are recognized as leaders in the field of mental health and cover a broad range of activities ranging from support to education to advocacy. Each week, Charity Navigator features a new Top 10 list to inspire your giving. Following last week’s events, we are sharing a list of ten highly-rated organizations that are providing suicide prevention resources, mental health support, community education, and smarter public policy to aid individuals and families facing a mental health diagnosis. Established in 1987, the American Foundation for Suicide Prevention (AFSP) is a voluntary health organization that gives those affected by suicide a nationwide community empowered by research, education, and advocacy to take action against this leading cause of death. Since its founding, AFSP has reached thousands of people who are at risk for suicide, and have connected tens of thousands of people who lost a family member, loved one, or friend to it. They operate local chapters in all 50 states and have educated hundreds of local communities about suicide and how to prevent it. AFSP continues to support scientific and clinical research on suicide and its prevention. And, they have equipped reporters and the media with education and resources on how to best cover suicide. NAMI, the National Alliance on Mental Illness, is the nation’s largest grassroots mental health organization dedicated to building better lives for the millions of Americans affected by mental illness. It is an association for hundreds of local affiliates, state organizations, and volunteers who work with their local communities to raise awareness and provide much-needed support and education. NAMI offers educational programs in thousands of communities across the United States through its local partners and affiliates. It also shapes national public policy for individuals with mental illness and their families. Their toll-free support line allows them to personally respond to thousand of referral, information and support requests each year. And they are a leader in raising public awareness of mental health issues to fight stigma and encourage understanding throughout the country. Founded in 1998 by the creators of the Academy Award-winning short film TREVOR, the Trevor Project is the leading national organization providing crisis intervention and suicide prevention services to lesbian, gay, bisexual transgender and questioning (LGBTQ) young people between the ages of 13-24. The Trevor Project provides a number of programs including crisis intervention through their call, text and chat lines; suicide prevention trainings and resources for adolescents and adults; and, community resources to help communities, both in person and online, support each other. Founded in 2007, Project Sanctuary aims to help the military family as a whole. They assist military service members returning home from war by reconnecting the family unit through a holistic approach, healing the effects of war, treating all members of the family at their level of need, and enabling service members to reintegrate into their families and communities in a healthy sustainable manner. The mental health needs of the military family are a core focus of Project Sanctuary’s model, and families may continue to receive counseling and support for up to two years. JED protects the emotional health and well being of the nation’s teen and young adults. JED furnishes mental health, substance abuse, and suicide prevention programs to more than 2,000 colleges and universities and their “Campus Program” provides comprehensive emotional support for more than 2.5 million students. Their recently launched “Set To Go” initiative provides mental health, substance abuse, and suicide prevention programs for high school students. They are committed to equipping young people with the skills and knowledge they need to help themselves and their peers. The Depression and Bipolar Support Alliance (DBSA) is the leading peer-directed national organization focusing on the two most prevalent mental health conditions, depression and bipolar disorder, which affect more than 21 million Americans and account for 90% of the nation’s suicides every year. DBSA’s peer-based, wellness-oriented, and empowering services and resources are available when people need them, where they need them, and how they need to receive them. They provide 24/7 online support, local support ground, audio and video programs, and printed materials distributed by their local chapters across the United States. Founded in 1909, Mental Health America (MHA) is a community-based nonprofit dedicated to addressing the needs of those living with mental illness and to promoting the overall mental health of Americans. Their work is driven by a commitment to promote mental health as a critical part of overall wellness, including prevention services for all, early identification and intervention for those at risk, integrated care, services, and supports for those who need it. Today, much of their current work is guided by the “Before Stage 4” philosophy that aims to treat mental health conditions long before they reach the most critical points in the disease process. The Treatment Advocacy Center is a national organization dedicated to eliminating legal and other barriers to the timely and effective treatment of severe mental illness. The organization promotes laws, policies, and practices for the delivery of psychiatric care and supports the development of innovative treatments for and research into the causes of severe and persistent psychiatric illnesses, such as schizophrenia and bipolar disorder. Since 1987, BBRF has awarded more than $380 million to fund more than 5,500 grants, making it the nation’s top non-governmental funder of mental health research grants. More than 4,500 scientists at 547 different institutions around the world have received funding from the Foundation. Through their community-based programs, fellowships, awards, and grants, the American Psychiatric Association Foundation addresses critical mental health needs and directs resources where they are needed most. Medical science, public education, and dedication drive the Foundation’s mission to create a mentally healthy nation for all. The Foundation works to raise awareness and overcome barriers; invest in future leaders in the field of psychiatry; support research and training to improve mental health care, and lead partnerships to address public challenges in mental health. Or, text HOME to 741741 to be connected to a trained Crisis Counselor through Crisis Text Line. Solomon, Andrew. “Anthony Bourdain, Kate Spade, and the Preventable Tragedies of Suicide.” The New Yorker. 8 June 2018. External link.